The NikWax Wash Kit has been discontinued and will not be returning. Two great Nikwax products in a convenient duo pack. Nikwak Tech Wash removes dirt, leaving your garment's water-repellency intact. 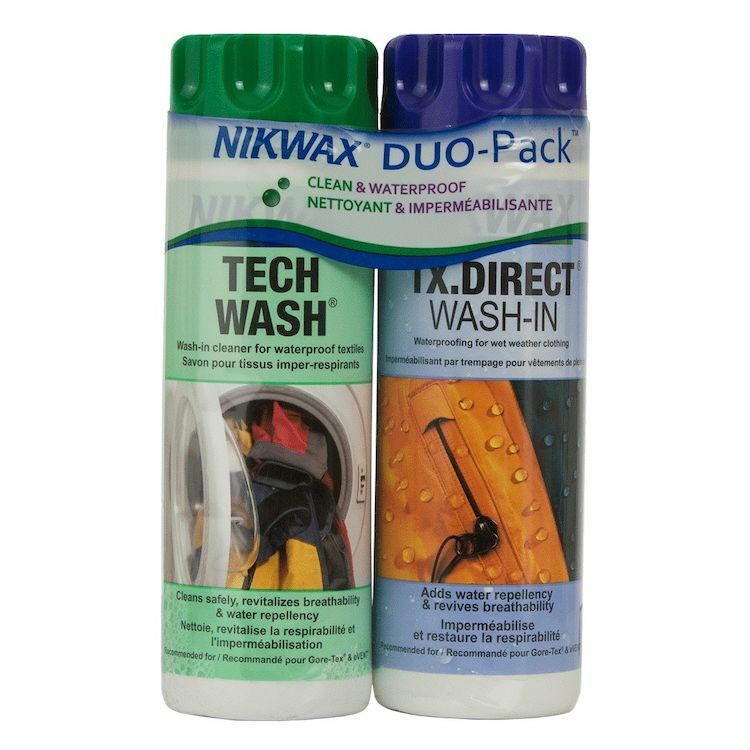 Nikwax Direct Wash In adds water-repellency and revives breathability to fabrics without wicking liners.